IBM® DS8880 Hybrid Storage is a family of storage systems that includes: IBM DS8886 for high-performance functionality in a dense, expandable package and IBM DS8884 to provide advanced functionality for consolidated systems or multiple platforms in a space-saving design. IBM DS8880 systems combine resiliency and intelligent flash performance to deliver microsecond application response times and more than six-nines availability. 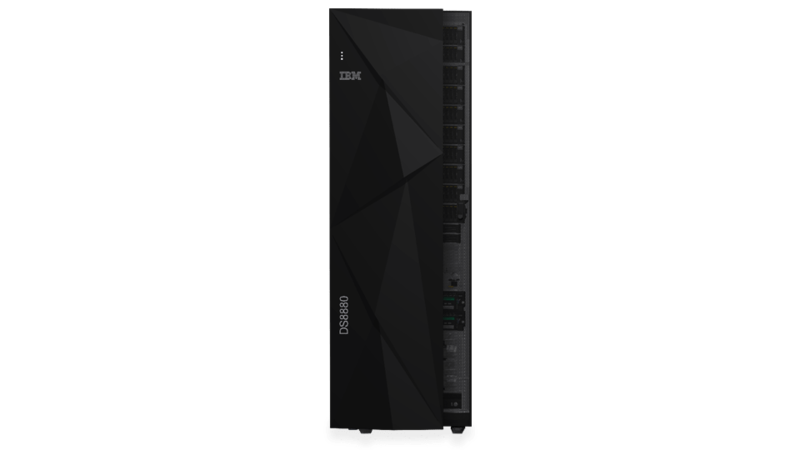 The IBM DS8880 is designed to deliver an optimized connection with the new z14 mainframe with superior performance, hybrid cloud storage and secure data transactions. Dramatically accelerate access to data by reducing up to 10x the application response time and cutting the elapsed time of DB2 transaction in half. Improve business efficiency while reducing capital and operating expenses with server-less direct data transfer from DS8880 to hybrid cloud environments. Secure client and corporate data with at rest encryption and a disaster recovery solution with more than "six nines" availability. Business-class storage with the lowest entry cost for midsize organizations in a flexible, space-saving package. Enterprise-class storage for large organizations provides high performance and capacity at an ideal cost.